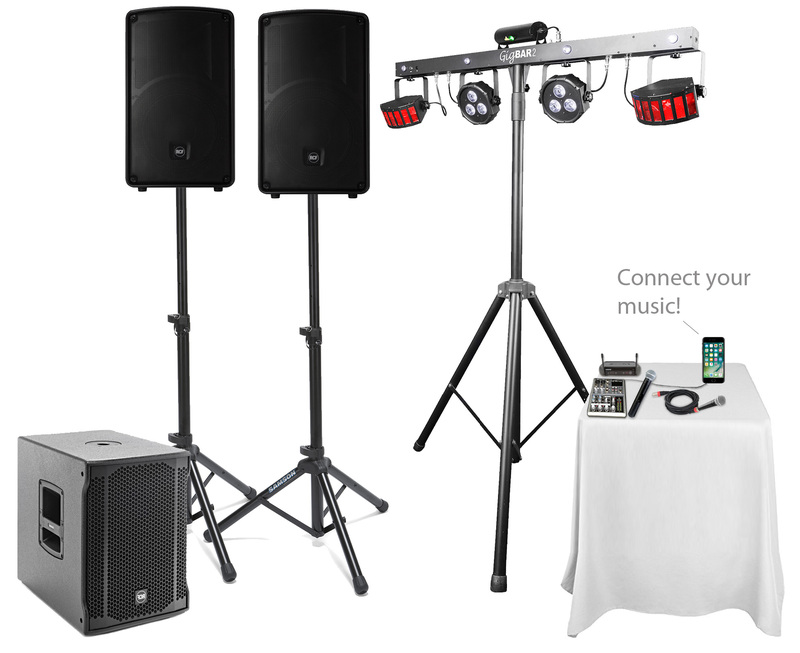 This system is specifically designed to get your wedding reception party going! You know your own taste in music, so why not play all your favourite songs on the day that you're going to remember forever - connect your iphone, ipad or any music-playing device and dance to the good stuff! You'll also be provided with a high quality handheld cordless mic for speeches. And as an added bonus we include easy to set up lights so you can set the mood, and as the party rolls on create some energy as well. Musicians are welcome to use our PA, however we suggest they contact us first with questions regarding connection.